Donor assistance is waning in northern Sri Lanka, where the critical priorities of food, shelter, protection and nutrition are not being covered, and many displaced people still need outside assistance more than three years after a decades-long civil war ended. Of the US$147 million requested under the Joint Plan for Assistance (JPA) for Northern Province 2012, launched by the UN and its humanitarian partners on 21 January, just 17.5 percent had been funded by 6 July - a gap of nearly $122 million. Those in need have yet to realize durable solutions and will continue to need assistance, the UN warned. According to the UN Financial Tracking Service (FTS), a global, real-time database that records all reported international humanitarian aid (including that of NGOs, the Red Cross/Red Crescent Movement, bilateral aid, in-kind aid, and private donations), significant gaps exist in the areas of shelter, livelihoods and demining. “Some areas have not received any funding at all,” Lelei noted. Of the $5 million requested for water and sanitation (WASH), and $29 million requested for mine action, donors have yet to come forward, while a request of almost $40 million for shelter and permanent housing assistance faces a shortfall of more than 70 percent. “Despite strong commitment from Aus Aid, the European Union, and India, there… [are] huge outstanding shelter needs in the north,” said David Evans, chief technical advisor at the United Nations Human Settlements Programme. The World Food Programme (WFP) has been providing assistance to some 300,000 men, women and children in the north, but "WFP is facing significant funding constraints, which means that hard decisions will have to be made in terms of operational downsizing,” Paulette Jones, a spokeswoman for the agency, warned. “Serious pipeline breaks of pulses, sugar, oil and fortified cereals are anticipated shortly, with similar pipeline breaks for rice also anticipated. As a regrettable measure of last resort, WFP may even have to reduce rations to our beneficiaries, unless urgent donor funding is forthcoming,” Jones said. Most UN agencies told IRIN they had already begun scaling back their operations and consolidating their field offices - a trend likely to continue through 2013. The World Bank now refers to Sri Lanka as a "middle income country at peace", and donors are looking to spend their money on what they regard as more pressing humanitarian emergencies. Aid workers confirmed that many NGOs have already had to reduce programme activities and the number of internationally recruited staff. Funding constraints forced an international demining NGO in Jaffna to lay off 200 local deminers in May, but according to the UN Development Programme, 122 square kilometres of land remain contaminated, including 18 months of priority mine clearance, which prevents many displaced from returning to their homes to restart their livelihoods. NGOs also continue to face a number of administrative challenges, including the renewal of visas and the approval of projects - a problem many feel is a result of the government’s long-standing suspicion of NGOs during the war years. International NGOs have the highest presence in areas where internally displaced persons (IDPs) have returned most recently, clearly showing that they are still engaged in humanitarian response priorities. According to the UN, more than 445,000 people displaced by the conflict have returned to Sri Lanka’s Northern and Eastern provinces. This includes some 229,227 people displaced after April 2008, when renewed fighting broke out, and 215,985 persons displaced before April 2008. Some 6,000 IDPs who fled after April 2008 are in camps - the vast majority in Menik Farm outside the northern town of Vavuniya - awaiting return to their areas of origin. 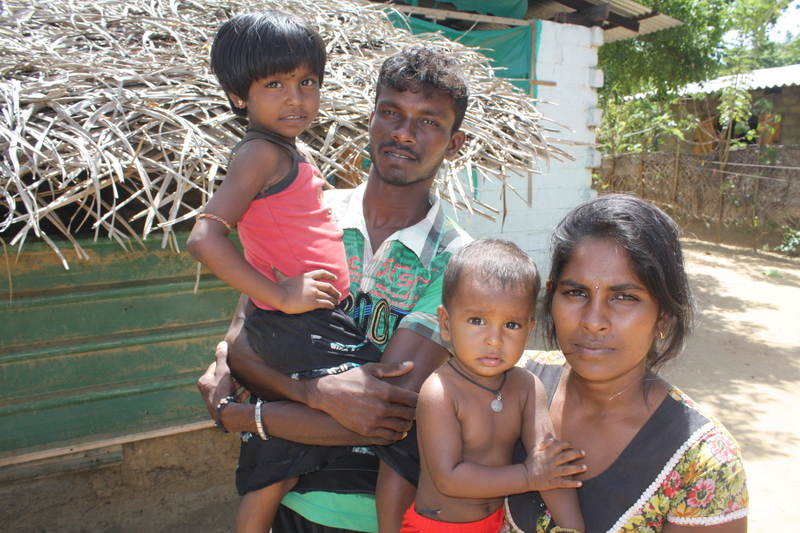 An additional 7,300 from the protracted caseload (displaced before April 2008), remain in government welfare centres in Jaffna and Vavuniya districts.